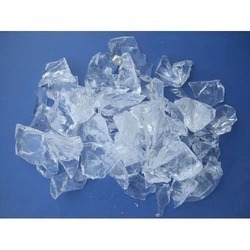 Fused quartzorfused silicais glass consisting ofsilicain amorphous (non-crystalline) form. ...Fused silica, therefore, has high working and melting temperatures. The optical and thermalproperties of fused quartzare superior to those of other types of glass due to its purity. Assisted by a team of dexterous professionals, we have been able to offer Fused Quartz 99.99%. At our sophisticated infrastructure facility, the offered chemicals are processed in adherence to the guidelines laid in the chemical industry. Without making any sort of compromise with the quality of these chemicals, we have mustered huge client-base. We are amongst the most reputed names in the industry, offering Fused Silica. Supplied in 3 pack system to ensure consistency and to reduce the risk of site error. Has excellent load bearing, abrasion resistance & chemical resistance properties. Seamless eliminates problems of joints. Gives a non slip surface & excellent impact resistance can be laid on floor in 3mm to 15mm thick layer. It is made by converting high-purity crystalline silica (silicon dioxide SiO2) to an amorphous form through the use of very high temperature Amorphous silica combines unique properties. This is natural silica found in purity of more than 99.7%. Quartz fiber feature high stregth, low dielectric constant and dielectric loss, high temparature resistance, low expansion coefficient, high corrosion resistance, outstanding designated performance and s series of unique advantages. 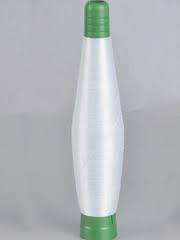 We have 30 acer pure silica as sio2 for sale in east Godavari. Fused Silica is produced by fusing high purity silica in a special furnace. Fused Silica is used in refractories as an additive for continuous casting refractories.